Three things of paramount importance to understand what is meant by the statement that we are not under the law, we are under grace. These three things are works, law and grace. What are works? Biblically, works means moral or immoral acts, deeds, output, or accomplishments. The apostle Paul relates to us the immoral works of the flesh in Galatians 5: 19-21 Now the works of the flesh are evident, which are: adultery, fornication, uncleanness, lewdness, idolatry, sorcery, hatred, contentions, jealousies, outbursts of wrath, selfish ambitions, dissensions, heresies, envy, murders, drunkenness, revelries, and the like. That is a very clear definition of immoral works. But God says that there are good works also in Ephesians 2:10 For we are His workmanship, created in Christ Jesus for good works, which God prepared beforehand that we should walk in them. However, salvation only comes through the grace of Christ, not our works. Keeping of the law is next! There is a definition and explanation by God concerning the law. What is its purpose? Why did God give the law in the first place? Galatians 3: 19 What purpose then does the law serve? It was added because of transgressions, till the Seed should come to whom the promise was made; and it was appointed through angels by the hand of a mediator. 21 Is the law then against the promises of God? Certainly not! For if there had been a law given which could have given life, truly righteousness would have been by the law. 24 Therefore the law was our tutor to bring us to Christ, that we might be justified by faith. Matthew 5:18 For assuredly, I say to you, till heaven and earth pass away, one jot or one tittle will by no means pass from the law till all is fulfilled. Both the works and the law point toward grace. As a matter of fact it literally paves the way for grace. John 1: 17 For the law was given through Moses, but grace and truth came through Jesus Christ. As God begins to open up His truth about law and grace we see that without grace all is of no effect because we have no means of ourselves to be justified to God. Jesus loved us so much He willingly gave His life so that we could live. Jesus died while we were still sinners and took upon Himself the sins of the world and became sin for us. He took our sins and died in our place. There is no greater grace than that. He freely gave Himself. 28 But I say to you that whoever looks at a woman to lust for her has already committed adultery with her in his heart. Romans 7: 25 I thank God — through Jesus Christ our Lord! So then, with the mind I myself serve the law of God, but with the flesh the law of sin. Galatians 6: 2 Bear one another’s burdens, and so fulfill the law of Christ. The old law given by Moses was etched in stone and written in ink but the new law under the new covenant is written in the fleshy heart of man. 2 Corinthians 3:3 clearly you are an epistle of Christ, ministered by us, written not with ink but by the Spirit of the living God, not on tablets of stone but on tablets of flesh, that is, of the heart. The change of the old to the new took place the night Jesus kept the last Passover and then instituted the communion with bread and fruit of the vine. 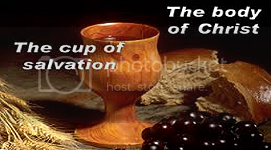 1 Corinthians 11:25 In the same manner He also took the cup after supper, saying, “This cup is the new covenant in My blood. Hebrews 12:24 to Jesus the Mediator of the new covenant. Hebrews 7: 12 For the priesthood being changed, of necessity there is also a change of the law. 14 For it is evident that our Lord arose from Judah, of which tribe Moses spoke nothing concerning priesthood. 16 who has come, not according to the law of a fleshly commandment, but according to the power of an endless life. 19 for the law made nothing perfect; on the other hand, there is the bringing in of a better hope, through which we draw near to God. The priesthood changed from the Levitical Priesthood to the Judean Priesthood, Jesus becoming the high priest forever. Any and all laws under Christ are spiritual. Romans 7:14 For we know that the law is spiritual. Jesus says over and over in the new covenant that we need to obey Him. Hebrews 5: 8-9 He was a Son, yet He learned obedience by the things which He suffered. And having been perfected, He became the author of eternal salvation to all who obey Him. Categories: bible study, Evangelism, PROVOKING THOUGHTS | Tags: bible study, follow Christ, God, Jesus Christ, Law and Grace, Law of Moses, Obey Christ, Religion and Spirituality, spiritual growth, spiritual law of Christ, theology, Truth of God | Permalink. ARE YOU IN LIGHT OR DARKNESS? From the first book to the last book of the Bible God reveals light to a dark world. He created light in the creation week when He said: “Let there be light!” Obviously, it was very dark. We also find throughout the scriptures the God talks about another Light, a Light that can only come from God. When God created man He did not reveal His Light to them. From Adam to this day, man lives in darkness and is subject to the system of this world and the king of this world is Satan the Devil. Revelation 12:9 So the great dragon was cast out, that serpent of old, called the Devil and Satan, who deceives the whole world. Ephesians 2:2 in which you once walked according to the course of this world, according to the prince of the power of the air, the spirit who now works in the sons of disobedience. God created the heavens and the earth and created man to inhabit the earth. Isaiah 45:12 I have made the earth, and created man upon it: 18 God himself that formed the earth and made it; he hath established it, he created it not in vain, he formed it to be inhabited. When Jesus came down to the earth and took on the flesh and blood form of a man, He introduced the gospel of the Kingdom of God to mankind. Jesus preached that the Kingdom of God has come. Mark 1: 14-15 Now after that John was put in prison, Jesus came into Galilee, preaching the gospel of the kingdom of God, And saying, The time is fulfilled, and the kingdom of God is at hand: repent ye, and believe the gospel. Jesus also has a certain light for man! John 1:4-5 In him was life; and the life was the light of men. And the light shines in darkness; and the darkness comprehended it not. Man rebels against the light and doesn’t understand what is revealed by it. But Jesus wants man to know He came to bring light and salvation and that He is the light of the whole world. To make it possible for man to receive that light, Jesus shed His blood by dying on the cross, was in the grave for three days and arose to life on the third day and ascended to the throne of God in heaven. Jesus did all this to wipe out all sins of mankind forever, past, present, and future. Isaiah 9:2 The people who walked in darkness Have seen a great light; Those who dwelt in the land of the shadow of death, Upon them a light has shined. Jesus wants everyone to be saved and when you accept Jesus as your savior, you will be that light! Matthew 5:14 “You are the light of the world. Now you are in Christ and Jesus says to let your light shine to the rest of the world. 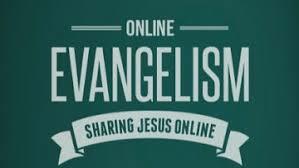 Categories: Evangelism | Tags: gospel of salvation, heaven, hope of the resurrection, inspiration, Jesus Christ, Kingdom of God, light of men, PRAY FOR THE UNSAVED, Religion and Spirituality, salvation, Truth of God | Permalink. Jesus is risen and sets on the throne of God today and forever to rule over all things. He had to take on the form of a man in the flesh in order to present a worthy supreme sacrifice once and for all, for the sins of the world past present and future. All the people in the world today have had their sins forgiven. But in order to be born again, they must do what Jesus commanded them to do: Romans 10:9 If you confess with your mouth the Lord Jesus and believe in your heart that God has raised Him from the dead, you will be saved. It is through the resurrection of Christ that we attain being born again! 1 Peter 1:3 Blessed be the God and Father of our Lord Jesus Christ, who according to His abundant mercy has begotten us again to a living hope through the resurrection of Jesus Christ from the dead. This is how important the resurrection of Jesus is to our having eternal life. The Apostle Paul explains very clearly how important the resurrection is to Christians. 1 Corinthians 15:13-20 But if there is no resurrection of the dead, then Christ is not risen. And if Christ is not risen, then our preaching is empty and your faith is also empty. Yes, and we are found false witnesses of God, because we have testified of God that He raised up Christ, whom He did not raise up — if in fact the dead do not rise. For if the dead do not rise, then Christ is not risen. And if Christ is not risen, your faith is futile; you are still in your sins! Then also those who have fallen asleep in Christ have perished. If in this life only we have hope in Christ, we are of all men the most pitiable. But now Christ is risen from the dead! Today is Easter Sunday! If you have never confessed your sins to Christ, today would be a most appropriate time to let Jesus know that you want Him to come into your life so that you may be saved. Don’t lose out by procrastination. Surrender to Him now! God bless you! In Jesus name, amen! Categories: EASTER | Tags: better resurrection, born again, Christ is risen, EASTER, Easter Sunday, eternal life, follow Christ, God, hope of the resurrection, Jesus Christ, resurrection, resurrection from the dead, resurrection of Jesus Christ, salvation, Truth of God | Permalink.